We love it when we learn the story behind our cake orders. 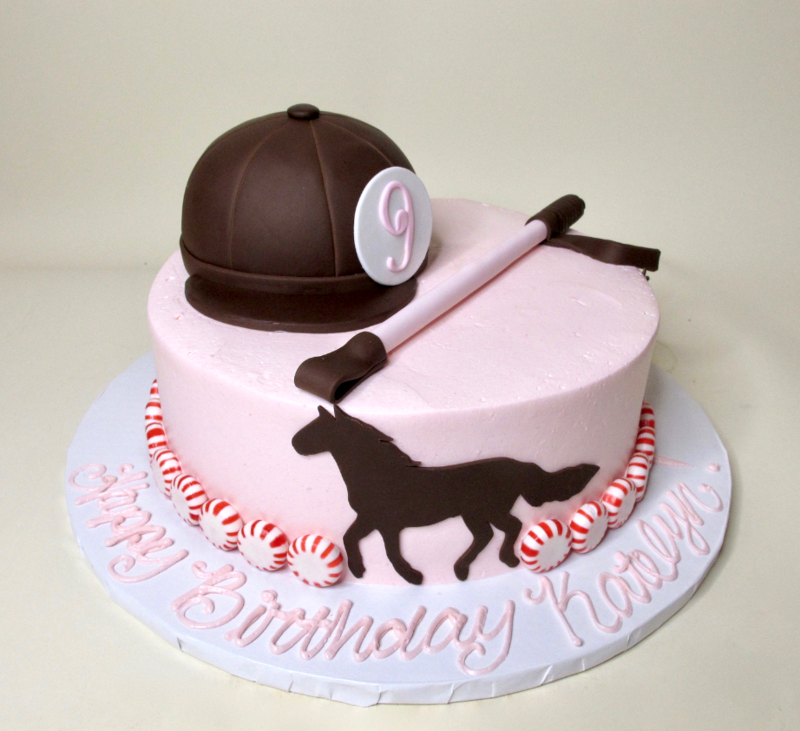 In this case, the cake we designed was for a little girl who was turning nine and loved to ride horses. We created a riding cap out of cake and put a pink number nine on the side of it because pink is her favorite color. The riding crop on top made out of fondant in pink and brown and around the sides, fondant silhouettes of horses prance. As for the starlight mints around the base of the cake, when we heard how the little girl’s horse loved to eat starlight mints, we thought they would make a cute and meaningful border at the bottom. So, when you come in to place your custom cake order at Creative Cakes, tell us the story! It’ll make for an extra-special cake!